This year, 2010, marks Singing Santa’s Silver Anniversary — 25 years of service! To celebrate, Santa has launched a brand new website! Visitors to the newly designed website can learn more about Singing Santa, view pictures, watch videos, check on Santa’s appearances, and much more! To learn more about Singing Santa, visit the Singing Santa Gallery. 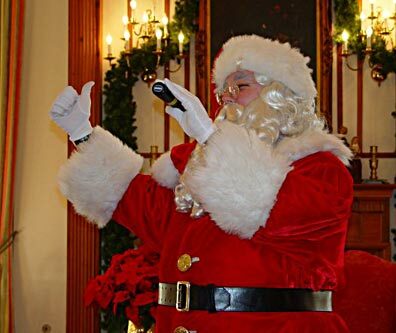 If you would like to find out if Santa is available for a visit with you, contact Santa’s Executive Assistant, Tom Long.